The only textbook bearing the imprimatur of the American College of Surgeons, ACS Surgery 7 provides a comprehensive reference work across all stages of surgical training and practice, from resident to experienced practitioner. 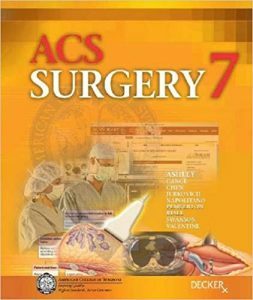 ACSS7 covers thoroughly medical knowledge and patient care, as well as other competencies- professionalism, interpersonal communication, systems-based practice, and practice-based learning and improvement. The illustrations, diagrams, tables, and algorithms enhance and clarify concepts outlined in the text. In addition, monthly updating online means the work is continually renewed and current on an ongoing basis. 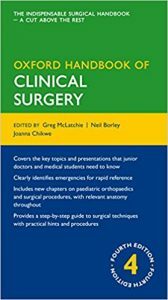 This bestselling Oxford Handbook has been thoroughly revised for the new edition to include brand new chapters on Paediatric Orthopaedics and Common Surgical Procedures, as well as new presentations, illustrations, and new anatomy and emergency indexes to aid quick reference. It is an invaluable tool for junior surgical trainees, medical students, nursing, paramedical, and rehabilitation staff. 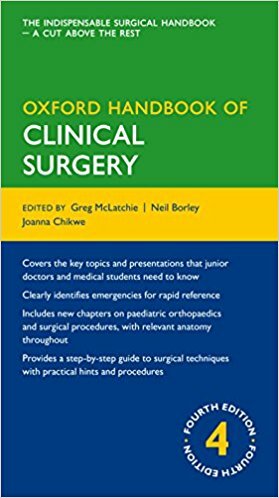 The handbook covers the assessment and preparation of the patient, anaesthesia and critical care, inflammation, wound healing and infection, and the key components of general surgical practice, as well as chapters on other surgical specialties, including plastic, paediatric, and orthopaedic surgery. There are step-by-step descriptions of common operative surgical techniques, practical hints and procedures, and information on signs, symptoms and rarities. Emergency presentations are clearly identified for rapid reference and investigations and management plans are set out in a clear and easy-to-follow way. Surgically relevant anatomy and physiology has been expanded for each area, quick reference symbols ensure the reader is guided to key facts, and there is an increased focus on evidence-based practice with key references throughout. 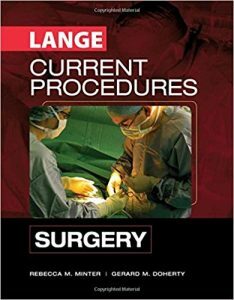 A cut above the rest, this is the essential guide to clinical surgery and the surgical specialities. This second edition presents medical students and trainees with step by step long cases in general surgery. Thoroughly revised, the second edition covers inguinal hernia, thyroid gland, breast cancer, stomach, jaundice, varicose veins and more. More than 270 full colour images and illustrations enhance learning – the previous edition published in 2008. 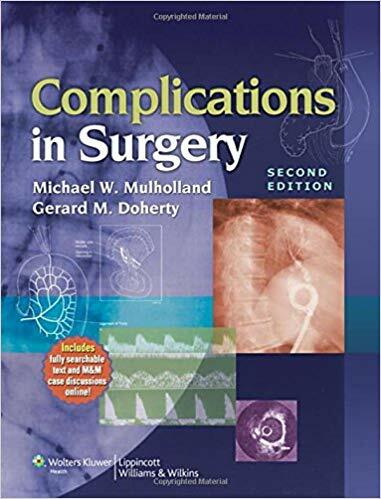 Complications in Surgery, Second Edition offers authoritative recommendations for preventing and managing complications in all current general surgery procedures. The opening sections discuss institutional risk management issues and risks common to all operations, such as wound healing problems, infection, shock, and complications in immunosuppressed patients. Subsequent sections focus on complications of specific procedures in thoracic, vascular, gastric, endocrine, breast, and oncologic surgery, as well as organ transplantation and pediatric surgery. This edition includes new information on surgical quality assessment and patient safety and updated information in the organ-specific chapters. Learn to perform more than 50 of the most common surgical procedures with this step-by-step, superbly illustrated guide! 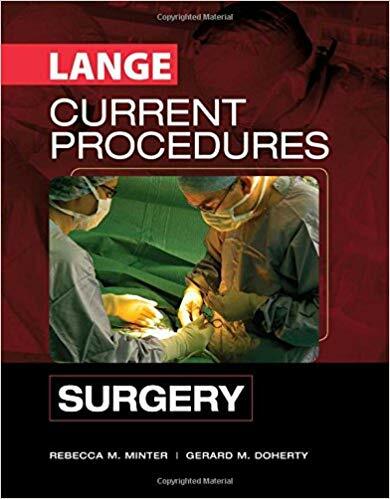 CURRENT Procedures Surgery is a unique combination atlas and text that details everything that you must know to perform more than 50 key surgical procedures. 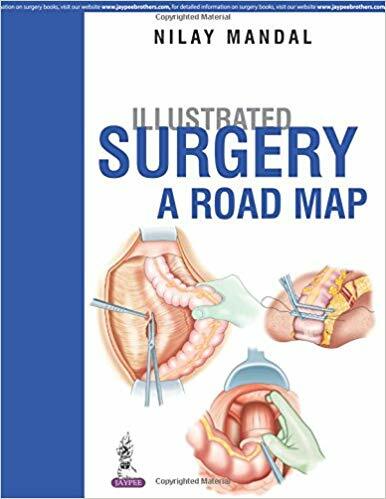 It covers the full spectrum of general surgery in an ultra-convenient, at-a-glance format, with more than 400 beautifully rendered illustrations to guide you every step of the way. Indications,Contraindications,Informed Consent,Equipment,Patient Preparation,Patient Positioning,Procedure,Postoperative Care,Potential Complications,Pearls and Tips,References. Now in full color, NMS Surgery, 6th Edition, has been significantly updated to reflect the current practice of surgery. 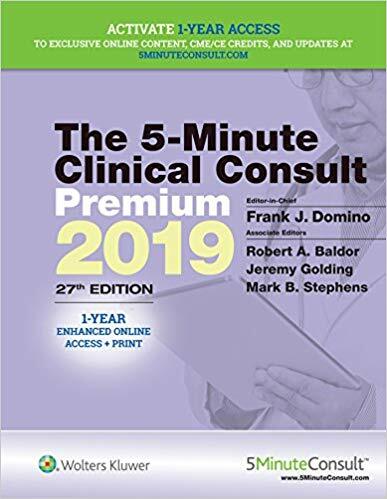 Even more readable and user-friendly than before, the practical outline format makes study more efficient and offers a thorough review for students, residents, and practitioners. In addition, this title is packaged with access to the interactive eBook version at no additional cost! Concise coverage, an online interactive student quiz bank, new text features, and USMLE-format questions enable students to successfully complete their clerkship, prepare for the shelf/end-of-rotation exam, and study for the boards. A fresh new format features “Chapter Cuts and Caveats” that call attention to important principles, and “Quick Cuts” that highlight key information in every chapter. 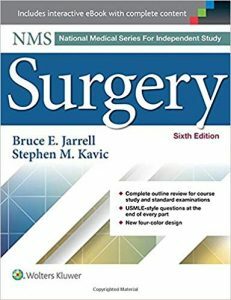 With updates, revisions, and full-color illustrations throughout, NMS Surgery, 6th Edition, is an ideal guide for effective study and review, while retaining the elements that have made it a dependable, go-to resource for a generation of medical students. New, full-color design, with updated illustrations throughout. New text feature: “Chapter Cuts and Caveats” calls out each chapter’s most important principles. New text feature: “Quick Cuts” highlights key information in a highly visual format. Study questions facilitate self-assessment and improve retention. Interactive eBook provided with the text includes student quiz bank for self-assessment. The perfect study tool for surgical shelf or end-of-rotation exams, and board certification and recertification. Here’s a close-up look at more than 800 cutting, clamping, grasping, retracting, and other surgical instruments. 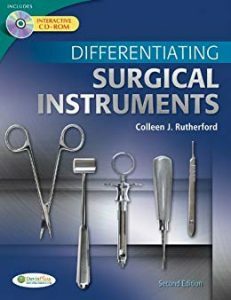 Full-color photographs of the individual surgical instruments and their tips help you learn to distinguish among them. Aligned to the topics within the Intercollegiate Surgical Programme (ISCP) curriculum, this case-based volume covers the common clinical presentations encountered across general surgery. With its clear ‘elective’ and ’emergency’ structure and its question-and-answer format, it offers both a comprehensive overview of general surgical training and evidence-based discussions of specific subspecialties. 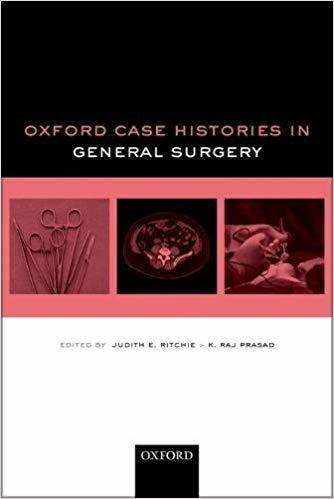 Oxford Case Histories in General Surgery covers upper gastrointestinal/HPB, colorectal, breast, endocrine and emergency surgery. Each section includes clinically relevant images and detailed descriptions of the radiological and pathological features. The individual case histories outline the key essentials for investigation, diagnosis and management in a wide variety of clinical scenarios. 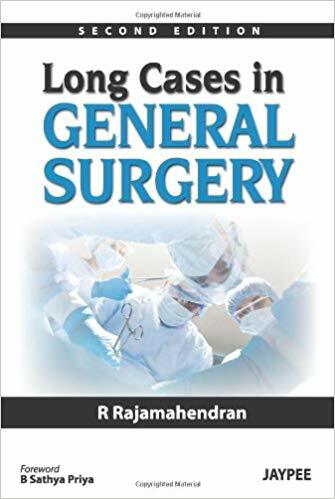 As a part of the Oxford Case Histories series, this book is an important educational tool for those embarking on surgical rotations at final year undergraduate and postgraduate foundation level. 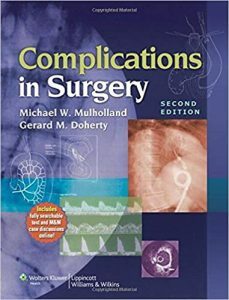 It is also an essential reference for the surgical care practitioner and early years core surgical trainee.